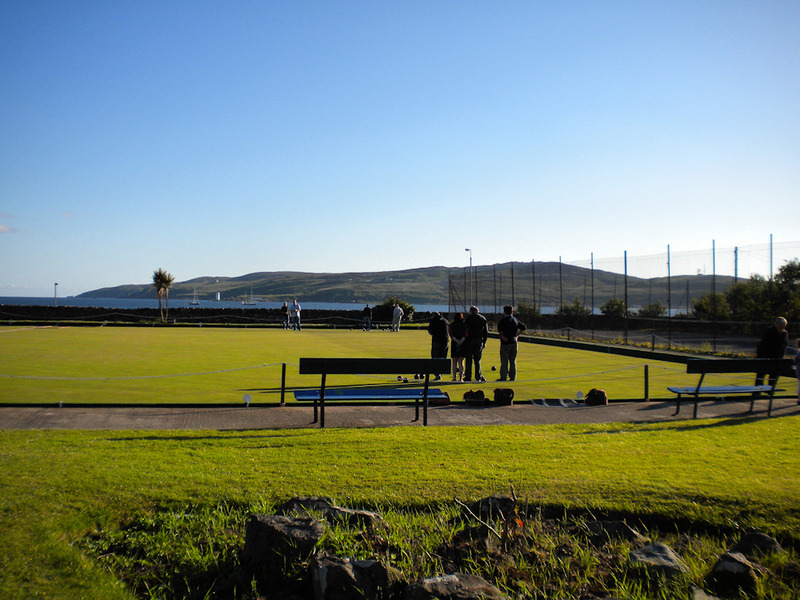 A mild summer evening in Port Ellen at the playing fields, a game in progress on the field. Kilnaughton Bay in the background, if you look closely you can also make out the lighthouse at Carraig Fhada. This entry was posted in Landscape, Lighthouses, Repost, Sunny Weather, Village and tagged Carraig Fhada, Islay, Port Ellen by Armin Grewe. Bookmark the permalink.